Canada’s new Liberal government: What lies ahead for climate change policy? According to the CBC at “New Liberal Government: Where does it get started?”, Prime Minister-elect Justin Trudeau’s first order of business is to meet with the Premiers to discuss climate change policy before COP 21. For slightly more detailed information, we can also refer to the Liberal platform statement, or a very complete analysis by West Coast Environmental Law (Oct. 22) . Read reactions, ranging from the positive and optimistic by Environmental Defence; to the factual “What Your New Liberal Majority Government Means for Climate, Environment, Science and Transparency” by DeSmog Canada; to the pessimistic “After Harper: Confronting the Liberals” at RankandFile.ca. Internationally, see reaction from The Guardian: “Trudeau victory may not signal a U-turn in Canada’s climate policy”; Politico; and the New York Times. In Canada, optimism is tempered, and 350.org is organizing Climate Welcome demonstrations, from November 5 – 8 in Ottawa, to remind the new Prime Minister of the urgency of climate change policy reforms. 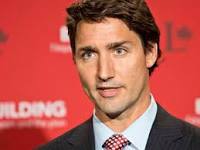 Justin Trudeau will be sworn into office on November 4th. This entry was posted in Policy and tagged Canada, Climate change policy, COP21 by workinawarmingworld. Bookmark the permalink.